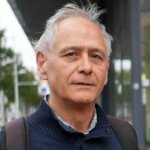 Directeur de la collection Acquisition du langage et pathologie chez Peeters Publishers, il était jusqu’en 2007 membre du Comité éditorial de la collection Sciences du Langage de CNRS-EDITIONS dont il a été co-directeur puis directeur de 1987 à 2002, il avait fondé avec Emilie Sabeau-Jouannet les Cahiers d’Acquisition et de Pathologie du Langage (CALaP). Chargé de cours à l’Université Paris Descartes jusqu’en 2008, Ses enseignements ont porté essentiellement sur la psycholinguistique et le développement du langage chez l’enfant. Il préside depuis l’automne 2008 la section 34 "Langues, Langage, discours" du Comité National. Président de l’Association des sciences du langage (ASL) de 2006 à 2008, il est Trésorier du Groupe international de recherche PERGAME. Promoting children's narrative skills through a short conversational intervention Earlier studies using imaged wordless stories show that by 4-5 years children can produce descriptive narratives but have difficulties in explaining and evaluating events (e.g., Aksu-Koç & Tekdemir, 2004; Bamberg & Damrad-Frye, 1991; Berman & Slobin, 1994). Can a short conversation focusing on the causes of events improve the linguistic and evaluative aspects of children's narratives? This paper relates results of a study carried out on 104 French-speaking children, aged 5:6 to 8;8 years, attending kindergarten, 1st and 2nd grades in a public school of Paris (38 children in each class group). All children were presented with the "Stone Story" composed of five pictures depicting a misunderstanding between two characters. All children were requested to tell what they understood of the story (first narrative). Then, children in the intervention group (84) participated in a conversation with the experimenter who focused the child's attention on the reasons of the story key events. Instead, children in the control group (30) played a memory game with the story pictures and similar cards. Then, all children were asked to narrate once again the story (second narrative). One week later, children told a third narrative of the same story (to test the stability of the eventual gains) as well as a new story analogous to the stone story (to test whether the gains were generalizables). Results show that, relative to their first narrative, children in the conversation group significantly improved the overall coherence and mind-oriented causal plot of their second narrative. They also changed the linguistic expression, that became more "packed" and contained more complex structures and explicit markers of causality and temporality. Instead, children in the control group didn't present any significant changes. Improvements appeared stable and generalizable. The discussion will focus on the significance of the conversational intervention in promoting children's narrative skills and on the nature of the progress obtained. References Aksu-Koç, A., & Tekdemir, G. (2004). Interplay between narrativity and mindreading: A comparison between Turkish and English. Dans S. Strömqvist & L. Verhoeven (dir. ), Relating events in narrative: Typological and contextual perspective (pp. 307-327). Mahwah, NJ: Erlbaum. Bamberg, M., & Damrad-Frye, R. (1991). On the ability to provide evaluative comments: Further explorations of children's narrative competencies. Journal of Child Language, 18 (3), 689-710. Berman, R., & Slobin, D. I. (1994). Relating events in narrative: A crosslinguistic developmental study. Hillsdale, NJ: Erlbaum. At 8-9 years many children have still difficulties in telling coherent and causally-motivated stories, particularly when the internal states of the characters and a mentalistic understanding of the world are involved. The aim of this study is to contribute new results concerning the role of a dialogical intervention procedure on these narrative skills. To this effect, 140 French-speaking children aged 5 to 8 years followed an experimental procedure devised in earlier studies in which they told a story based on five pictures concerning a misunderstanding before and after having participated in a conversation with the experimenter or after having played a memory game (the control group). One week later performances on "stability" (same story) and "generalization" (analogous story) tasks and on two false belief tasks were recorded. Results show that from age six on, the conversation group improved their narratives, improvements that are stable and generalizables, and related to success in ToM tasks, confirming the role of the conversational intervention for learning and for the evaluation of narrative skills. Récits oraux, interventions dialogiques et leur lien avec les compétences en lecture et écriture chez l'enfant français de 5 à 8 ans. Nos précédentes études ont montré qu'après une intervention dialogique de l'expérimentateur, les enfants produisent des narratives plus cohérentes avec une plus grande attitude mentaliste envers les personnages. Nous pensons que l'amélioration des narrations est un but important non seulement en soi mais aussi en vue d'améliorer la compréhension de la lecture chez l'enfant. Ainsi, le but de cette étude est de montrer les progrès des narratives orales des enfants lors de la construction et du rappel d'une histoire et la relation entre ces progrès, les compétences en lecture et écriture, et les performance en fausse croyance, chez 100 enfants francophones scolarisés en France entre 5 et 8 ans (25 par groupe d'âge). Les résultats préliminaires confirment le rôle des interventions dialogiques dans l'amélioration de la structure causale et évaluative des narrations de certains enfants et la relation de ces progrès avec les mesures de lecture et écriture et de théorie de l'esprit. Improvements in children's narratives: Adjustments to the listener's knowledge. Previous studies show that children, from 5-6 years on, improve the causal and evaluative structure of their narratives after participating in a dialogical intervention procedure with the experimenter. In the present study we consider improvements in children's narratives in relation to the degree of knowledge that 5-to-11 years old children share with their interlocutor. To this effect, 80 French-speaking children narrated a story on the basis of a sequence of five pictures centered on a misunderstanding before and after a conversation with the experimenter focused on the causes of events. Half of the children told the second story to the experimenter (an "informed listener") and the other half to an "uninformed listener". Results show that in the uninformed listener condition children make greater use of complex linguistic means like determinative relative clauses to identify the characters, pointing to the importance of social communicative considerations for stimulating children to draw from their resources. Le rôle d'une procédure d'intervention dialogique sur l'apprentissage et l'évaluation des compétences narratives chez l'enfant francophone de 5 à 8 ans. Oral narratives, dialogical intervention and reading comprehension: A study of 5-to-8 years old French children. Qu'est-ce qu'un linguiste peut dire sur l'usage de l'ordinateur pour faire écrire des enfants qui n'ont pas accès à la communication? The acquisition of narrative skills is a developmental process that spans several years. Although children as young as 4-5 years can produce descriptive narratives, they have difficulties to produce coherent and causally-motivated plots. Previous studies have shown that from 6-7 years on, children produce more coherently structured and mind-oriented narratives after participating in conversations that solicit children's attention on the reasons of the events of the story. We believe that promoting narrative skills is not only an important achievement in itself but also a useful approach for improving children's reading comprehension, more useful then concentrating on lower level units of written text like phonological awareness or letters. The aim of this study is to present the progression of children's oral narratives in the construction of a story from a set of pictures and in the recall of a story read by the experimenter, and how such a progression relates to measures of emergent reading and writing skills and to two theory of mind tasks. To this effect, 100 children between the ages of 5 to 8 (25 children per age group) participated in the different phases of the study. Preliminary results show that the dialogical intervention procedure promotes in some children more structured and evaluative narratives, a progression that correlates with children's emergent reading and writing measures. These results confirm the importance of the conversational intervention procedure for improving narratives and its usefulness as an evaluative tool for understanding the relation between oral narratives and reading comprehension. A conversational intervention procedure as a tool for improving and evaluating narrative skills : A study of 5-to-8 years old French children. By age five children have acquired basic narrative skills and are able to report events temporally framed within a narrative structure. However, at least when they have to produce autonomous narratives on the basis of images, until 8-9 years many children have difficulties in telling coherent and causally-motivated stories, particularly when the internal states of the characters and a mentalistic understanding of the world are involved. The aim of this study is to contribute further results concerning the role of a dialogical intervention procedure soliciting children's attention on the reasons of the events of a story on children's production of complex mind-oriented narratives. To this effect, 140 French-speaking children aged 5 to 8 years (35 children at each age level) followed an experimental procedure devised in earlier studies. They were first exposed to five pictures (the "stone story" whose main point is a misunderstanding between two characters) presented sequentially. After the pictures had been removed, all children were requested to tell the experimenter the story (first narrative). Then, 25 children at each age level were asked questions soliciting the reasons of the key events in the story (the conversation group) while the other 10 (the control group) played a memory game with the story pictures and other similar cards. Then, all children were asked to narrate once again the story (second narrative). One week later children were asked to tell the story a third time (to test the stability of the eventual changes obtained immediately afterwards) and to tell a new story analogous to the stone story (to test the generalization power of the conversational intervention). Narrative skills were analyzed for causal and evaluative relations (explanations, internal states, false beliefs and overall coherence). Results show that from age six on, the conversation group improved, significantly more then the control group, the overall coherence and mind-oriented causal plot of the story in their second narrative. A relation between improvements and success in ToM tasks is observed. Results also show stability and generalization of the changes confirming the importance of the conversational intervention in improving the coherence of children's narratives and its usefulness as an assessment tool. Remediation programs aiming at improving children's reading comprehension most often focus on low-level units (letters, phonological awareness and local decoding) as if mastery at this level were sufficient for the comprehension of texts. Several studies show that this is not so straightforward. Indeed, children may very well master low-level decoding without understanding what they are reading. We believe that promoting narrative skills is a more useful and efficient approach. In this study we present the progression of children's oral and written discourse as they relate to writing and reading skills. 20 children with language difficulties (SLI??) were seen at the beginning and at the end of the first year of schooling (when they were respectively, around 6 and 7 years of age). At each time, two measures of structured oral narratives (recall of a story and construction of a story from a set of images) and measures of emergent reading and writing were gathered. At the end of the year two additional measures concerned reading comprehension (recall and inferential questions) and the writing up of a story. In between these two time periods children participated in "pedagogical interventions" centered on the causal links among events of narratives, through oral and written productions. Results show a progression in the structure and in the morphosyntactic extension (T-units) of oral narratives, a progression that correlates with the reading and writing capacities at the end of the school year. Results are discussed in relation to the pedagogical and interactional model implemented.